Munich, Germany and its surrounding areas are known as some of the top ski destinations in the world. From small ski areas to grand resorts, Germany is home to a large variety of exciting ski destinations. While there are typically many destinations to sort through when planning a ski trip to Munich, this article narrows it down to the 5 top ski destinations near Munich Airport. The Skiwelt Wilder Kaiser-Brixental is known as the largest interconnected ski area in all of Austria. This ski area consists of nine different locations and contains some of the most up-to-date facilities in Germany. The two locations closest to the airport are the Ellmau and Scheffau areas, which are both within 150 kilometers (90 miles) of the Munich Airport. The Scheffau and Ellmau locations both consist of fantastic slopes that vary greatly in length, and include a wealth of Lifts and Pistes. Garmisch-Partenkirchen is a mountain resort town and one of the most famous ski destinations in Germany, as it quite often plays host to a myriad of events, such as the annual New Year’s Ski Jump. The World Alpine Ski Championship was also held at this location in 2011. The area consists of three mountains; Hausberg, Kreuzeck, and Alpspitze. While Hausberg is the perfect location for families with young children, the Kreuzeck and Alspitze both offer an exhilarating challenge that is sure to satisfy ski enthusiasts from all around the world. Garmisch-Partenkirchen is just over 125 kilometers (77 miles) from the Munich Airport. The Spitzingsee Ski Resort in Spitzingsee, Germany is a serene ski destination that lies within 70 kilometers (43 miles) of the Munich Airport. Though a bit smaller than some other ski areas around Germany, Spitzingsee offers just as much value. There are over 20 kilometers of slopes and 21 Pistes. The resort also offers 16 Lifts, which consists of 1 gondola, 2 chair lifts, and 13 surface lifts. Whether a beginner or a pro, these slopes offer more than enough variation to satisfy everyone. 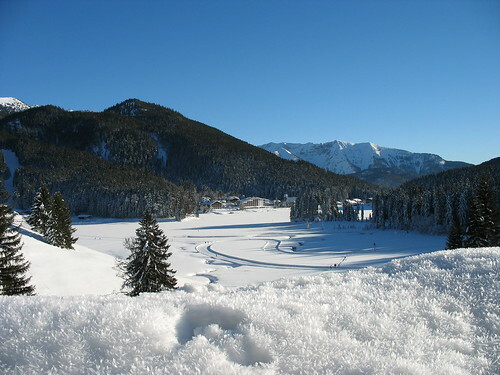 Lenggries, Germany is a wonderful ski destination that has satisfied avid skiers for years. 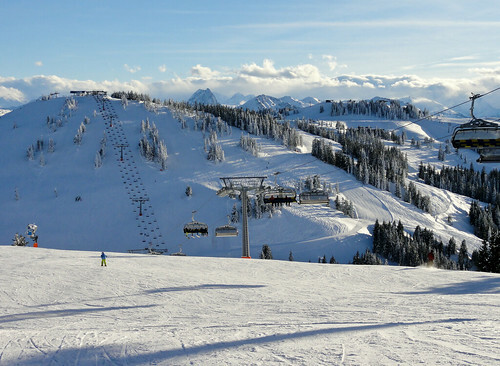 Complete with a modern ski resort, Lenggries is one of the more affordable ski destinations in Germany. There are a great variety of Pistes and Lifts available, though skiers on an intermediate level will discover that many of the Pistes are designed with such a level in mind. The ski area also offers more than 100 kilometers of cross country ski trails. Lenggries is located at about 100 kilometers (63 miles) from the Munich Airport. 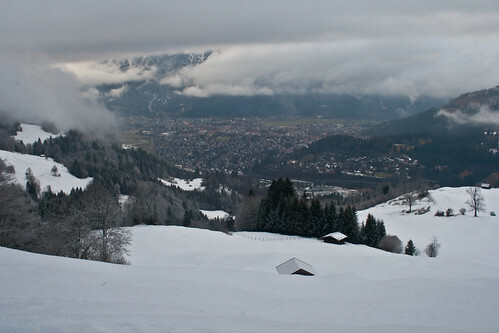 Sudelfeld is one of Germany’s largest ski areas and is home to breathtaking vistas and challenging slopes. The Sudelfeld ski area boasts an impressive array of slopes and lifts that are perfect for families and pros alike. The ski destination also offers free parking at many locations and even professional skiing schools, for those looking to brush up on their skills. There are nearly 40 Pistes available. The Sudelfed ski area is located 127 kilometers (79 miles) from the Munich Airport.